Yes yes yes, another pumpkin recipe. Mugcakes are so easy and quick to make, that they are so practical on my busy college schedule. I’ve made a couple already that you can find on here, like my delicious pina colada one, carrot cake one, mocha coconut latte one, or even my reeses mugcake! There are many to choose from. But with the pumpkin season arriving, I had to make a pumpkin one! And what better way to make it than incorporate that delectable ginger flavor. And good news for those of you that avoid dairy or gluten, because this recipe is free of both! 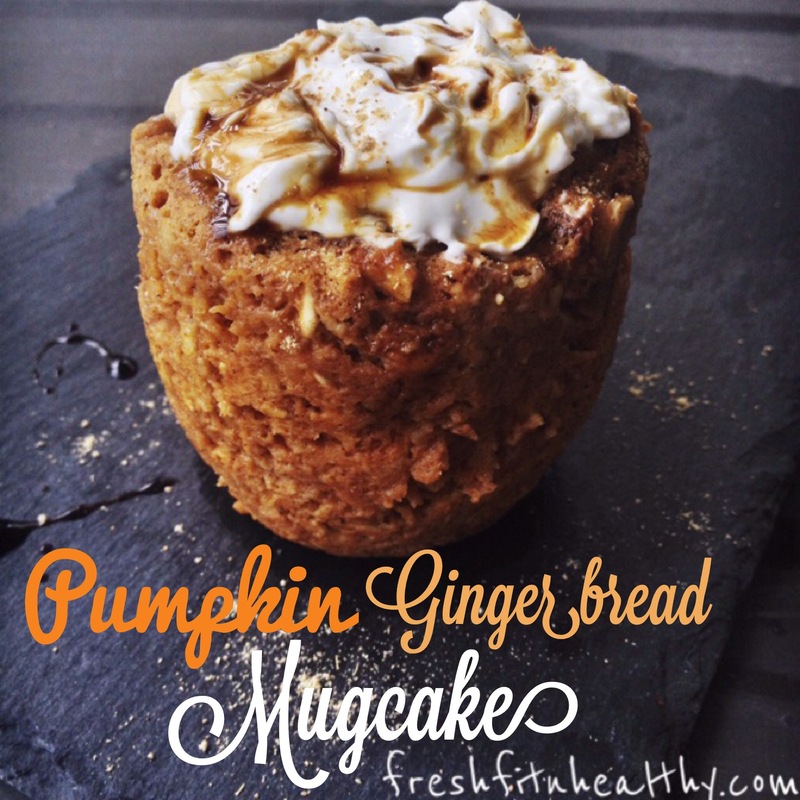 Just want a plain pumpkin mugcake recipe? 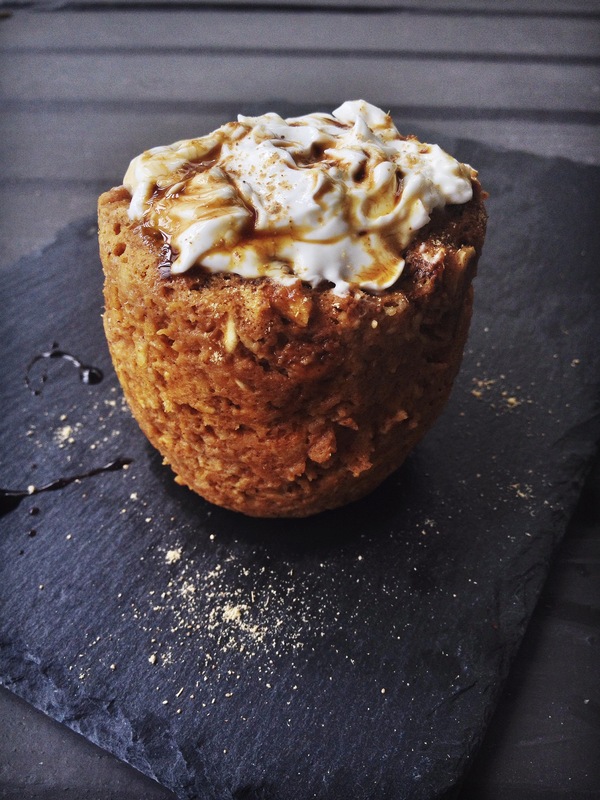 Have no fear, it is easy to make this mugcake just that! Whether you’re wanting a quick breakfast, fun snack, or a sinless dessert, this is for you! Directions: Combine all ingredients in a bowl until smooth. Pour into mug sprayed with nonstick spray. Cook in microwave for 1 minute. Top with Vanilla Cream if desired (below). Note: If just wanting a plain pumpkin flavor, sub molasses for honey, and omit ginger. Directions: Combine all ingredient in small measuring bowl until smooth, top pumpkin cake with cream.